Welcome to the most alternative and most “connected” capital in Europe! Today, Berlin is a reference in the world of music, fashion, art and design. With a rich past that has left its mark all over the city, Berlin is also resolutely turned towards the future. 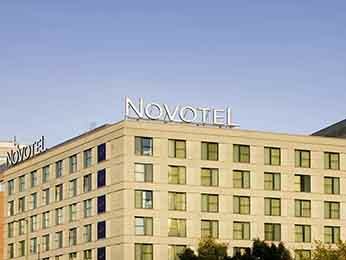 Discover the capital of Germany in the cordiality and hospitality of a Novotel hotel. When you visit Berlin, you will encounter the past and history wherever you go. The sites and monuments of the city are emblematic. The Reichstag and the Brandenburg Gate, Checkpoint Charlie and the vestiges of the Wall are all there to recall the weight of History. But Berlin is also a city for art lovers. It has an island entirely devoted to art. Museum Island, on the Spree River, is Berlin’s Louvre. It is home to five museums, all UNESCO World Heritage sites, holding nearly 6,000 years of art. They include the Neues Museum, the Alte Nationalgalerie and the Pergamonmuseum. 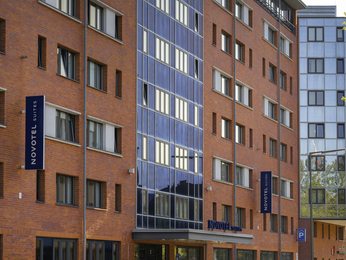 During your stay, also visit Alexanderplatz, Charlottenburg Castle, the trendy Friedrichshain district and the alternative district of Kreuzberg. The young German capital is strongly reminiscent of New York in the 1960s and 1970s. 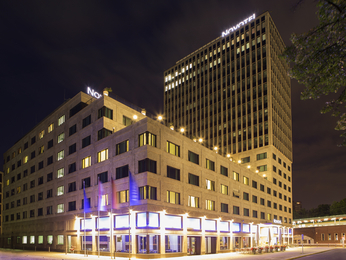 Discover Berlin, a temple to memory and creativity, from the three ideally located Novotel hotels in the city.